Good quality. My hips 93 cm and it fits well. shorts normal, comfortable, stretch well, xxl 56 russian and can probably wear. quality is good, color as photo. fabric is very dense, lining front but except belt. 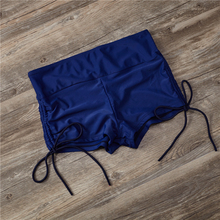 suitable for swimming, probably sports too, and smaller one apparently only need to wear the underwear. take. figment like the picture, communication store was good quality nice, free shipping arrived figment detailed time, selling thanks.